Explore what your peers have to say about FSIPL and its products. 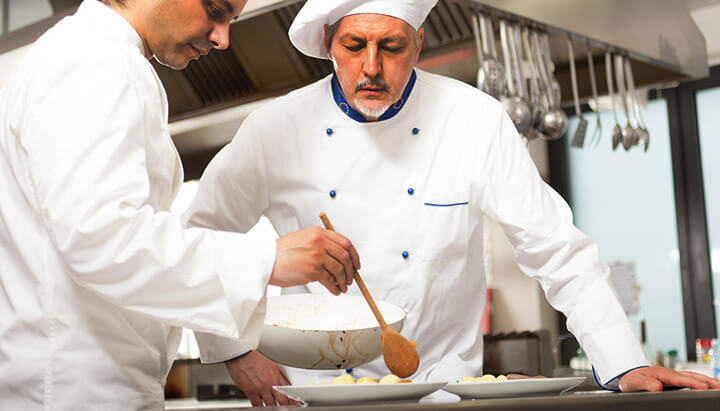 Food Service India is a company that provides helping hand to our chefs by providing excellent gravies. The Onion Tomato and Makhani gravy provide the right blend of flavors and freshness for use in bulk kitchen. Food Service India's products are really outstanding and have been carefully crafted to provide the right flavors and consistency to the dishes. We are really happy with the quality of the products. We have been using FSIPL products since two years. Their sales team have always been quick at delivering the chefs keep us updated with the latest products. They have outstanding products specially gravies and seasonings. We are using Premium Aromatic mix for past 2.5 years. It is an excellent product! Food Service India offers excellent products especially for Chinese dishes. Springburst Premium Aromatic mix has proven wonders for our kitchen operations with its versatile application while controlling cost and helping to maintain consistent taste. FSIPL's products are really outstanding and have been carefully crafted to provide the right flavors and consistency to the dishes. We are really happy with the quality of the products. Springburst Lime seasoning is an excellent substitute for lime juice and provides a natural taste to the dishes. The premium aromatic seasoning is the best substitute for vegetable stock. Springburst's premium aromatic seasoning lives up to its claim and is a great product. Chef's Art Chicken Broth Powder has helped us to standardise my recipes and provide consistent taste to our dishes every time. I happily recommend FSIPL's broth mixes in every Chinese kitchen. Food Service India is an innovative, quality conscious and value-based company with a highly skilled sales team. Springburst lime seasoning and Aromatic mix products have been consistent in producing the right results for our dishes. Wonderful products by Food Service India! We always look forward to get introduced to their latest products. FSIPl's products are full of flavors and provides perfect taste to the food even when used in less quantity. Diner's feedback for the dishes made using Food Service India's products has always been great. The products are very helpful for chefs to serve amazing dishes. Food Service India's products have always been best in taste and aroma. We look forward for a long-term partnership with them! We are using Food Service India's bakery products and sprinklers from a long time. The products are great in quality and consistency. Pizza dough mix gives great texture in pizza and bread. Oregano spice sprinkler gives great taste and aroma. We are happy to get introduced to Food Service India's products that have helped us to add variety and flexibility to our dishes. The product have great quality and flavor. We are using almost the entire range of products offered by FSIPL. The products have helped us controlling our cost and the team keeps us updated about their latest products. We are eager to use their Marimbula syrups at our hotel. Thanks! FSIPL products are all about quality. Their bakery products - pizza dough mix, pizza sauce, choco lava, chilli flakes, sprinklers are very useful for our outlet. FSIPL has great products that packs an extra punch of flavors in the dishes along with great services. Food Service India's products are great to use in our kitchen and help us create dishes that our guests truly enjoy! The price and quality of Food Service India's products are better than the international quality brands. Springburst Aromatic mix, Chicken Broth Powder and Lime seasoning have proved miraculous for our daily kitchen operations to reduce scratch work for chefs. Marimbula syrups have proven economical for our catering business and provide consistent taste and quality. Springburst Aromatic powder is an exceptional and versatile product and has become an essential part of our kitchen. We sincerely thank FSIPL for bringing out a good quality affordable product. Food Service India offers a wonderful range of products at a very effective price-range. Spicefield spices are great in aroma, taste and quality. There is no match for their whole spices. Spicefield spices are really good and they come in high-grade packaging which adds to the convenience. On top of that, the service levels of the team are just amazing. We are very satisfied with the quality of Premium Aromatic mix and Chicken broth powder that provides great taste to the dishes that are liked and appreciated by our guests. We are happy to use Food Service India's Aromatic mix and Chicken broth powder in our recipes and strongly recommend all of their products. We trust their products for our menu and appreciate the quick service from the company. Springburst Premium Aromatic powder has helped us enhance taste in our Chinese dishes. Premium Aromatic powder has helped us creating regular and special dishes and is an excellent healthier replacement for other aromatic mixes available in the market.Lime seasoning is an excellent product for controlling cost . FSIPL spices are really good and they come in high-grade packaging which is adds convenience. On top of that, the service levels are just amazing. Food Service India products are great in quality and taste ! There is only one word for Food Service India spices - AWESOME! We use all their entire range of spices and the packaging and price is just fantabulous. Looking forward to more products! Marimbula syrups are high in fruit content, have great quality and come in attractive packaging that makes a great display. Their Indian ethnic flavors are just WOW! Marimbula syrups are high in fruit content, have great quality and come in attractive packaging that make a great display. Their Indian ethnic flavors are just WOW! Marimbula products are superb and their beverage team's services are just outstanding ! FSIPL products are fantastic and cost-effective. Marimbula syrups, specifically Paan and Red Wine syrup are a great hit at our live nitrogen ice-cream counter. The products have helped us attract more guests and grow our customer base. Chef's Art Chicken Broth Powder has helped us to standardise our recipes and provide consistent taste to our dishes every time. I happily recommend Food Service India's broth mixes for every Chinese kitchen. Food Service India's products are great in quality, especially their spices! FSIPL has a wide array of innovative products that cater to the actual requirements of chefs. The products are wonderful and have an attractive packaging, especially the whole spices. Springburst Premium Aromatic mix is a good product to be used in any dishes, be it soups, main course, rice or noodles. The product blends well with all the dishes and lives up to its claim of superior quality. FSIPL's product are well-suited for the needs of commercial kitchen and help bring cost-effectiveness. Nice products with nothing to complain about !